Some things are best left undisturbed . . . In the countryside of Victorian England, Edward Atherton, rector of Thornham St. Stephen, has taken on the arduous task of restoring the ancient church. But he should never have meddled with the tomb that lay beneath the church’s crumbling walls. The moment the workman raised the tomb lid, an unspeakable horror escaped. At a loss to explain the unsettling noises and frightening visions that begin to plague the church, Atherton calls upon fellow antiquarian and Cambridge professor Richard Asquith to help investigate the strange events that began in the wake of the tomb’s disturbance. The two discover tantalizing hints of whom and what may have been laid to rest in the tomb, but the unforeseen circumstances force Asquith to give up his inquiries and leave the small village of Thornham behind. Asquith tries to put the frightening experiences behind him and focus on his new wife and family. But death and disappearances abound, and Asquith soon has no choice but to confront the darkness that has followed him from that ancient church into his own home. 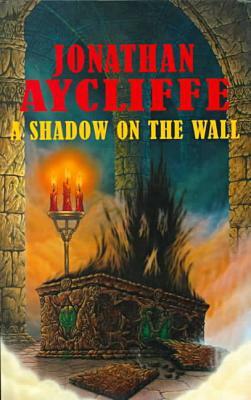 English novelist Jonathan Aycliffe has mastered the classic English ghost story, and A Shadow on the Wall, nominated in 2000 for the International Horror Guild Award, is sure to both mesmerize and haunt you.